"I like his furry knees." 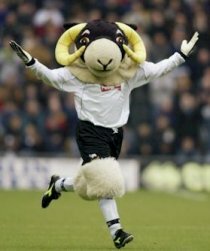 "what has a sheep got to do with derby? its a rubbish mascot lol"